Dubai: The National Bank of Ras Al Khaimah (RAKBank) reported a net profit of Dh917.5 million for 2018, up 13.2 per cent (Dh107 million) compared to 2017. 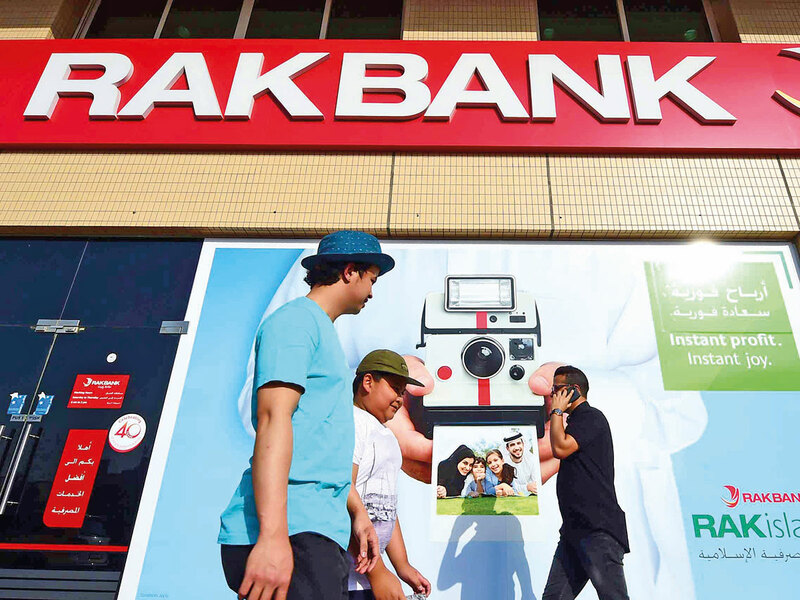 “This considerable increase in net profit was due mainly to an increase in net interest income and net income from Islamic financing — which grew by Dh45.5 million — and a decrease of Dh131.8 million in provision for impairment in loan,” said Peter England, RAKBank CEO. As at year-end 2018, the bank’s total assets stood at Dh52.7 billion, growing by 8.5 per cent compared to 2017. Total loans and advances in 2018 increased by 4.8 per cent year on year to Dh34.8 billion. Customer deposits grew by 6.1 per cent to Dh34.1 billion, with growth derived mainly from an increase of Dh2.7 billion in time deposits. Total operating income increased by Dh17.1 million (0.4 per cent) to Dh3.8 billion, mainly due to an increase of Dh45.5 million in net interest income and income from Islamic financing, net of distribution to depositors. Non-interest income declined by Dh28.3 million to Dh1.1 billion. This was due to a year-on-year decrease of Dh61.2 million in investment income. However, the decrease was offset by an increase of Dh12.7 million for fee and commission income and an increase of Dh24 million for foreign exchange and derivative income. Bank’s operating costs increased by Dh41.9 million or 2.9 per cent from 2017. This was mainly due to an increase of Dh7 million in staff costs and Dh15.7 million in IT related expenses. The Group’s cost to revenue ratio increased marginally, to 38.9 per cent compared to 38 per cent in 2017. The management expects the costs to taper down in the coming years as income grows and cost optimisation and digitalisation initiatives improve efficiency. Provisions in 2018 declined by Dh131.8 million due to lower payment defaults on auto loans, RAKfinance, SME lending, and in the commercial segment. Total impairment provision for the year was Dh1.42 billion, compared to Dh1.55 billion in 2017. The bank has loan loss coverage ratio of 133.1 per cent at the year-end 2018 excluding the value of tangible assets held as security. “There are tangible results to show that the efforts we have made to de-risk certain parts of the business over the last few years have allowed us to reduce provisions and improve the quality of our loan book. In short, the ‘quality’ of our earnings has improved continually over the last 2 years and we expect this trend to continue,” said England. RAKBank’s capital adequacy ratio as per Basel III was 17.2 per cent at year-end 2018. The major change in Capital position occurred as a result of opening adjustments made in the adoption of IFRS 9. The regulatory eligible liquid asset ratio at the end of the year was 14.5 per cent. The advances to stable resources ratio stood at 94.5 per cent.